Original Painting: Acrylic on Canvas. 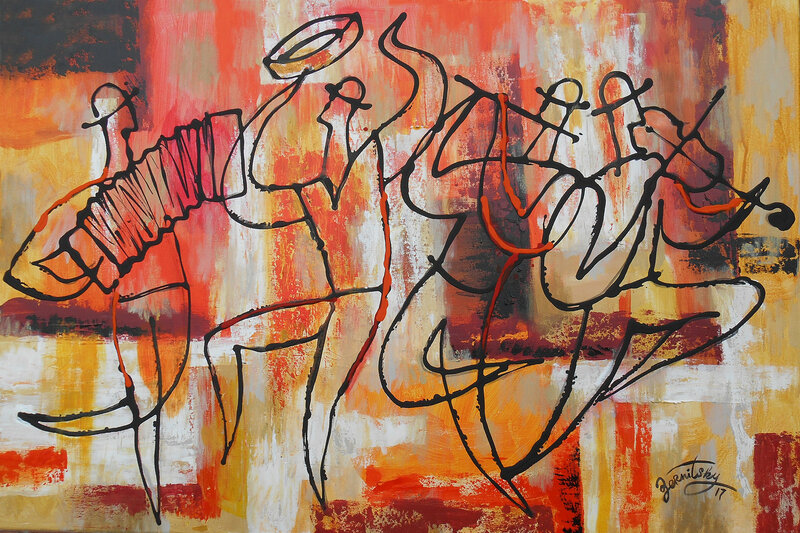 36"x24"
This painting was created out of love for jazz and rock music. 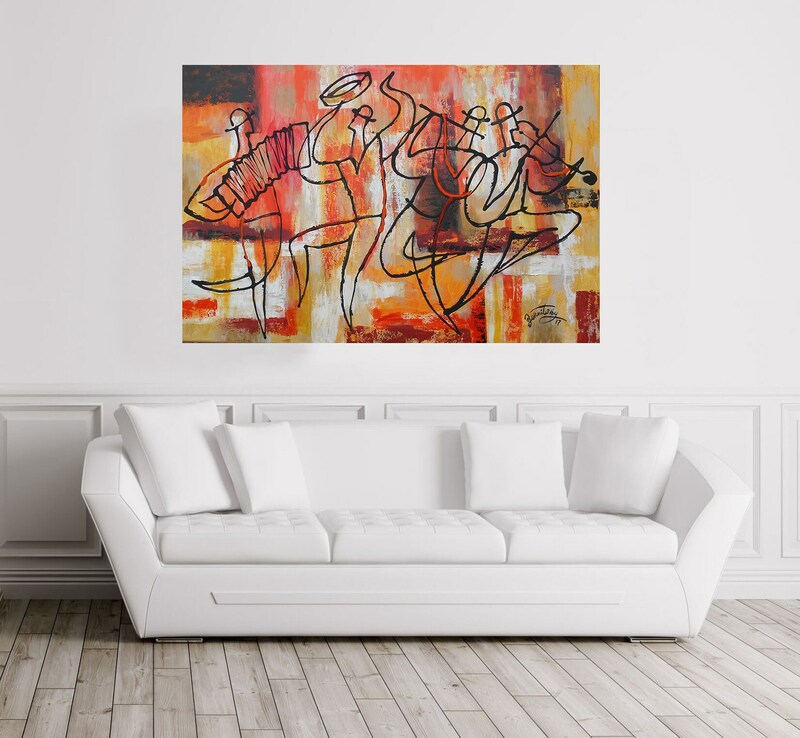 I have always been very impressed by jazz, it makes me feel good and this music leads my hand with brush and colour in the creation of this work.